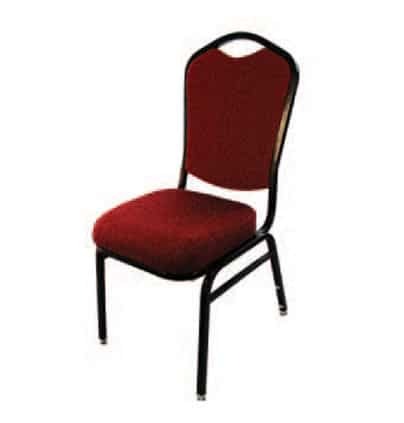 America’s best value in durable and comfortable multi-use stacking chairs for classrooms or fellowship/banquet halls. Generous 2 .5″ high density virgin foam seat for lasting comfort. 5-ply 1/2″ industrial grade plywood seat and back base is stronger and more reliable than particle board or manufactured plywood. ChurchPlazaTM standard fabrics certified among the highest quality commercial fabrics available with longer wear, color fastness and durability and MoistureBarrierTM treatment at no additional cost. Chair comes standard with foam added lumbar support. Upgraded,self-leveling floor glides insure level, non-rocking stance. Handhold built into the back for easy moving and stacking. View our vinyl color options for banquet chairs.